OJ Simpson Takes Another Lesson In Karma. OJ Simpson is finally going on trial in Las Vegas for his participation in a botched robbery last September. Today the 12 members of the jury was selected. They are all white. But don’t worry, that won’t affect anything. The judge took great pains to separate the current case from Simpson’s racially charged murder trial. 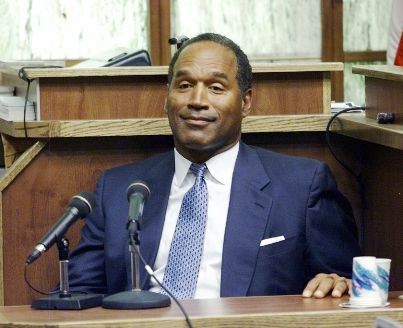 She wanted to be sure that the jurors would not be biased against Simpson, who is African-American, and was acquitted of the 1994 slaying of his ex-wife, Nicole Brown Simpson, and her friend, Ronald Goldman, both of whom were white. “If you are here thinking you are going to punish Mr. Simpson for what happened in Los Angeles in 1995 this is not the case for you,” Glass said Monday. previous post: Kanye West Busted At LAX. next post: Gary Coleman Charged With Being Reckless.